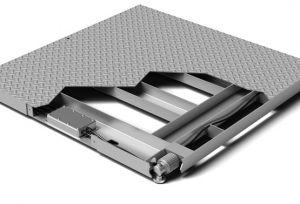 The AXHD axle scales are designed for the weighing of vehicles by axle group. The systems work by weighing each axle group at a time and then adding all the axle group weights to provide the total weight of the vehicle. 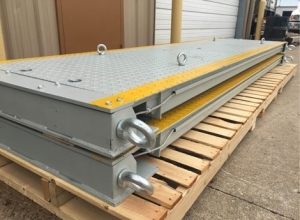 These portable axle scales are available in multiple lengths to match the axle groups of your trucks. Out 7 ft long version is ideal for trucks with tandem axles, while our 11 ft version is used for trucks with split or triple axle groups. 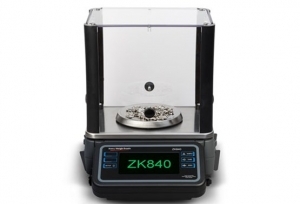 This allows for easier weighing and faster throughput. 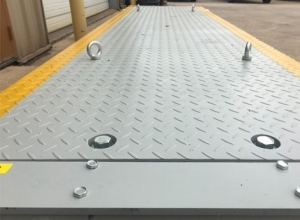 IP65 rated mild steel general purpose weighing platform with alloy tool steel potted load cells. 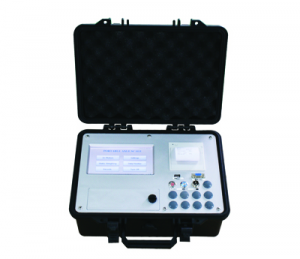 Pre-calibrated with SBI-521 LED indicator and interface cable. Fast and accurate measurements and improved productivity are achieved with the Super Hybrid Sensor (SHS) and Automatic Count Accuracy Improvement (ACAI). 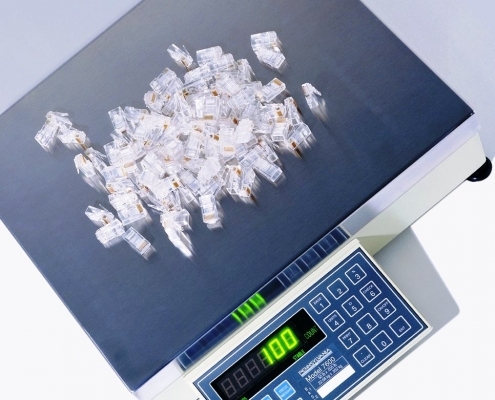 Sturdy metal housing and robust weighing sensor provide the protection and stability necessary for tough industrial weighing while extending the scale’s usable life. 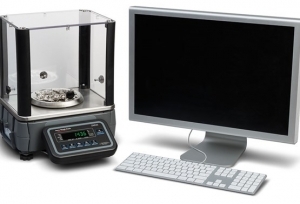 The stainless steel ProDec is equipped with hermetically sealed stainless Weigh Bars. 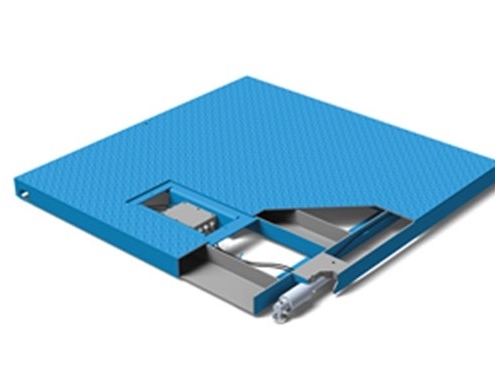 The unique Weigh Bar sealing prevents air, gas and moisture from infiltrating gauge and wiring areas. 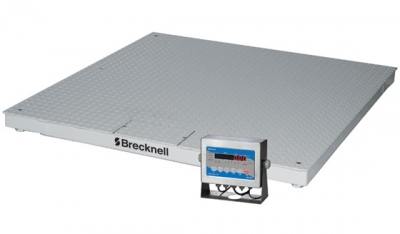 This platform scale has been designed to withstand hard industrial environments and keep weighing reliably. 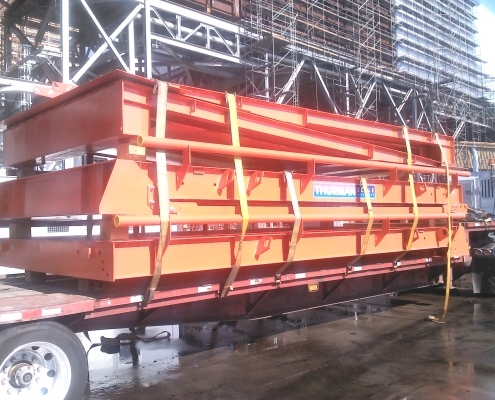 The steel top plate is welded to a steel support channel understructure, to keep the scale from warping and bending. 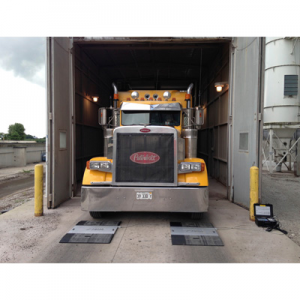 The ProDec uses exclusive Weigh Bar weight sensors for accuracy and reliability. 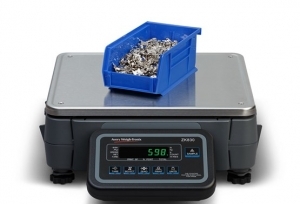 The Weigh Bar’s unique design and solid steel milling protects the electronics, allowing greater weighing accuracy without reducing the strength. 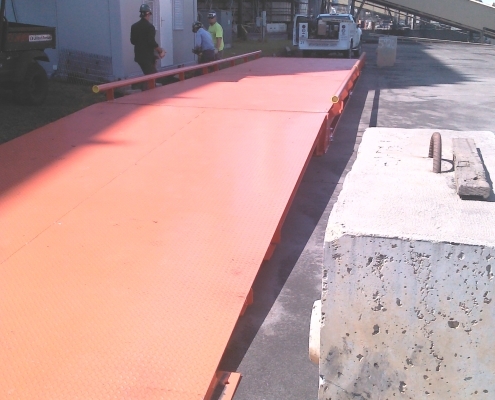 The Weigh Bar is less prone to damage from impact and vibration, with a lower failure rate than conventional load cells. The stainless steel ProDec now includes side access to the stainless junction box which further reduces the chance of food, debris and other matter from getter trapped in the creases of the junction box compartment. 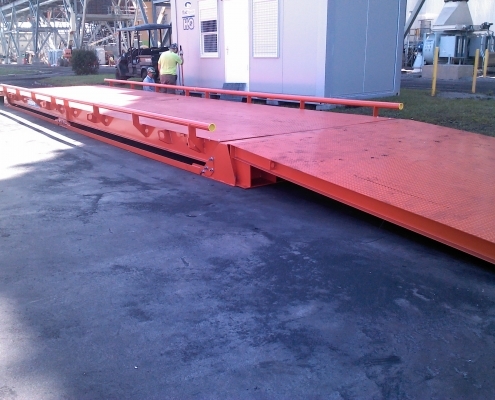 It has up to 200% end loading protection and is available in 5,000lbs, 10,000lbs and 20,000lbs capacities. The stainless steel ProDec model, was designed with the food and chemical industry in mind and is available in standard sizes ranging from 36”x36” to 84”x60” and capacities from 2,000lb to a more heavy-duty 10,000lb. 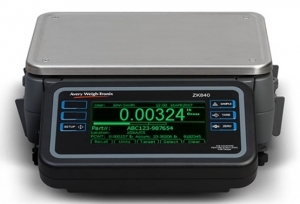 The ZK840 counting scale offers exceptional accuracy and flexibility. 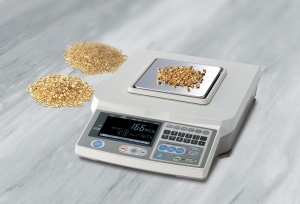 A fully programmable counting scale, with database inventory control and a suite of built-in applications, this high resolution touch-screen scale has been designed with flexibility, ease of use and precision in mind. 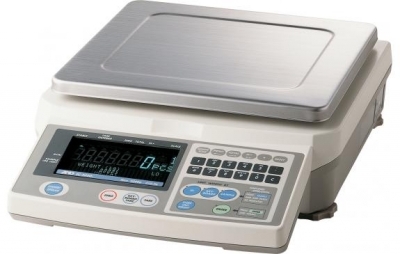 At its simplest, the ZK840 can be used as a general high resolution weighing and counting scale. 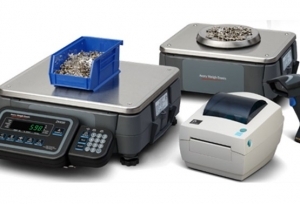 A host of applications, including checkweighing, with inventory control, balance and density weighing, recipe filling, grading and pick list programs are available for use and can be fully customized if required. 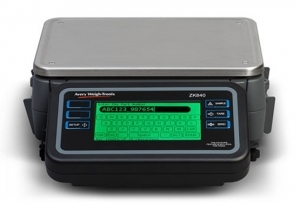 Counting Scale with Inventory Control: Created to adapt to most inventory control processes, the ZK840 counts and samples components quickly and accurately, speeding up processes and improving efficiencies when counting large numbers of identical parts. Built-in database inventory control packages store around to 5000 piece weights and provide business critical real-time stock data and statistical analysis that will help improve product line efficiency. The option to link to PLU Lookup, our external database system, enables users to capture, control and manage data for hundreds of thousands of parts on 32 linked scales.